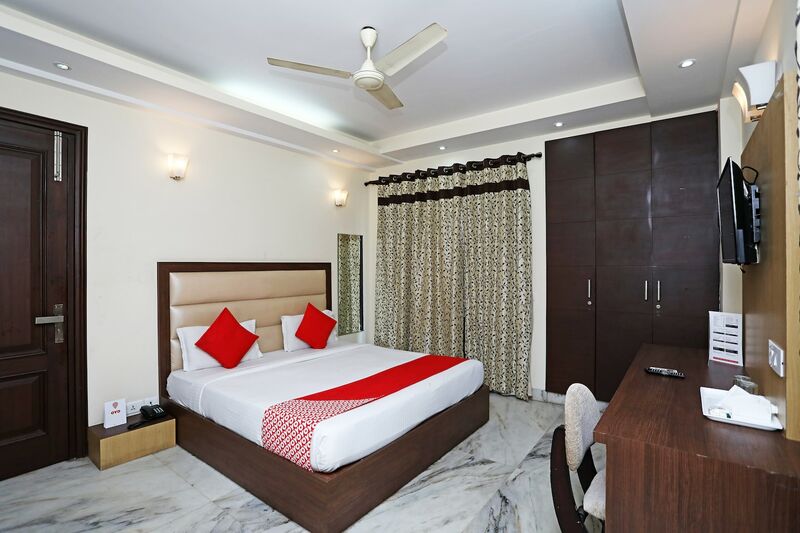 Hotel South Paradise is located in CR Park, Delhi. Dadi Potis Tomb, Qutub Minar, Tuglakabad Fort and Safdarjung Tomb are located close by. The rooms of the hotel are well-maintained featuring printed curtains, light colored walls, basic wooden furniture, and a decently sized dressing table. The rooms are also well lit and airy. The long list of amenities that the hotel offers include power backup, mini fridge, room heater, card payment, CCTV cameras, parking facility, elevator, TV, free Wi-Fi, laundry, geyser, hair dryer, and AC. There are a number of restaurants and eateries like Ashirbad, Country Curries, Sumo Sushi, Cocoberry, Beijing Street are located at walking distance from the hotel.